Over the past few years, traders have become accustomed to the idea that the day to day moves in stocks impact currencies. When equities sell off aggressively like they have today, the U.S. dollar usually strengthens across the board as investors pile into the low yielding safe haven currency. When equities stage a strong rally on the other hand, the dollar tends to sell off as safe haven flows ease. However often times currency traders will forget about this correlation and for good reasons because currency movements can oftentimes decouple from equities. 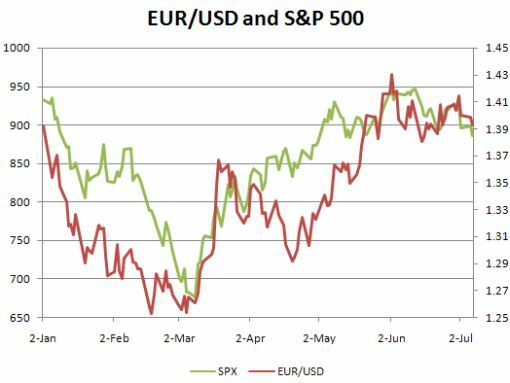 This happened in June when the correlation between the EUR/USD and the S&P 500 fell to 50 percent. In comparison, since the beginning of the year, the correlation between these two instruments has been greater than 80 percent. This meant that 80 percent of the time that stocks rallied, the EUR/USD strengthened as well. Yet the correlation between equities and currencies has recoupled over the past week with the EUR/USD and the S&P 500 moving in unison 90 percent of the time. Even the correlation between USD/JPY and the S&P 500 has hit 85 percent. 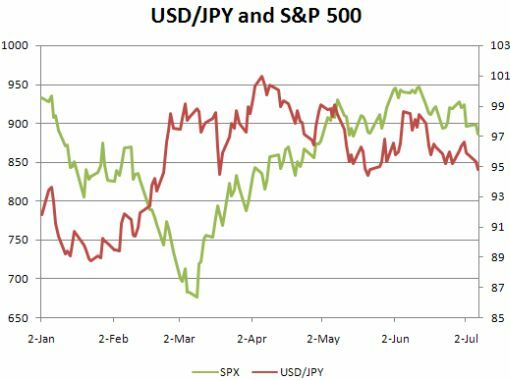 This is particularly notable because the correlation between USD/JPY and U.S. equities was 80 percent last year but for this year up until last week, the correlation was negative 6.9 percent. In other words, there was no correlation whatsoever. With earnings season underway, we expect this renewed correlation to be one of the dominant drives of price action in the currency market so if you aren’t doing so already, make sure to always keep an eye on how U.S equities are trading intraday.